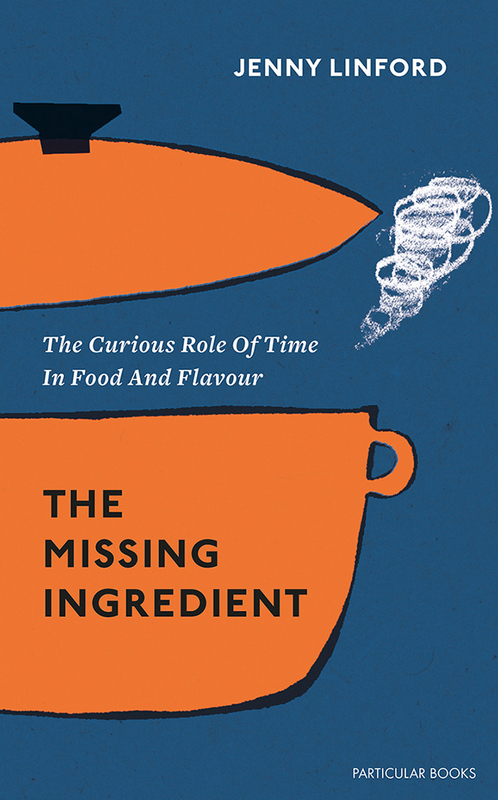 The Missing Ingredient by Particular Books, part of Penguin Random House. The Missing Ingredient is about what makes good food, and the first book to consider the intrinsic yet often forgotten role of time in creating the flavours and textures we love. Written through a series of encounters with ingredients, producers, cooks, shopkeepers and chefs, exploring everything from the brief period in which sugar caramelises, or the days required in the crucial process of fermentation, to the months of slow ripening and close attention that make a great cheddar, or the years needed for certain wines to reach their peak, Jenny Linford shows how, time and again, time itself is the invisible ingredient. From the patience and dedication of many food producers in fields and storehouses around the world to the rapid reactions required of any home cook at the hob, this book allows us to better understand our culinary lives. Read reviews, quotes and tweets here.